The village is located about 25 minutes away from the city. The journey will take you to long roads surrounded by a rich spectrum of greenery and over arched by wild blue skies. In the village, the colors of cultural diversity are not an issue but rather our pride, where you can savor the soul of Sabah. Upon arrival at the entrance of the village, you will be ushered to the warmth of different homes of the ethnicity of Sabah. Each home was built by descendants of the tribes they represent and offer you a truly genuine experience seeing everything in and around the village lends to its magical prowess of taking you back in time. Not only does this village portray these tribes through the architectural genius of their traditional houses, but also through a range of simulated lives of the olden epoch by the residents of the village. Acquaint yourself with each tribe as they let you come into their house and their simple yet intricate lives. As you traverse the village, you will find demonstration huts along the main houses in which daily activities of old times come into life. 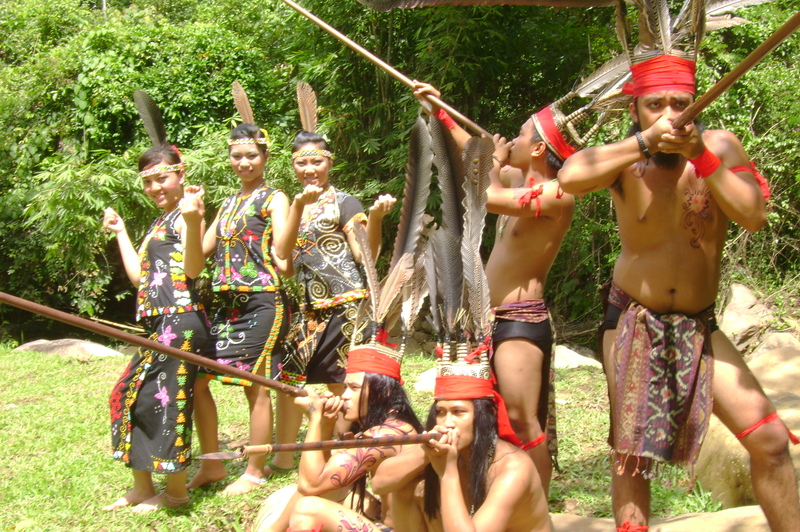 For example, the making of blowpipe, starting a fire (from Polod tree – you will learn the steps of making fire without the help of a lighter), tattoo-making (and its symbolism) and etc. By the end of your journey into the past, you have been given a setting for you to see, hear, taste and feel the uniqueness of what Sabah truly is. An unforgettable encounter of our Sabahan homeland………..AS IT WAS…………..… AS IT IS……………. After the performance, you will be led to the Dining Hall. You may leisure around for about 15 minutes to shop, take photos or just relax and enjoy the natural surroundings. Enjoy delectable traditional and fusion cuisines for lunch / dinner before the end of the tour. Depart back to hotel. : Please wear comfortable walking shoes and bring along drinking water, insect repellant and extra cash for personal purchases.